on our way travelling through Morocco from Marrakech (desert) to the African coast of Essaouira, we stumbled upon numerous tourists taking photos and photos of them posing with a tree?! utterly confused from afar we decided to see what the commotion was all about. 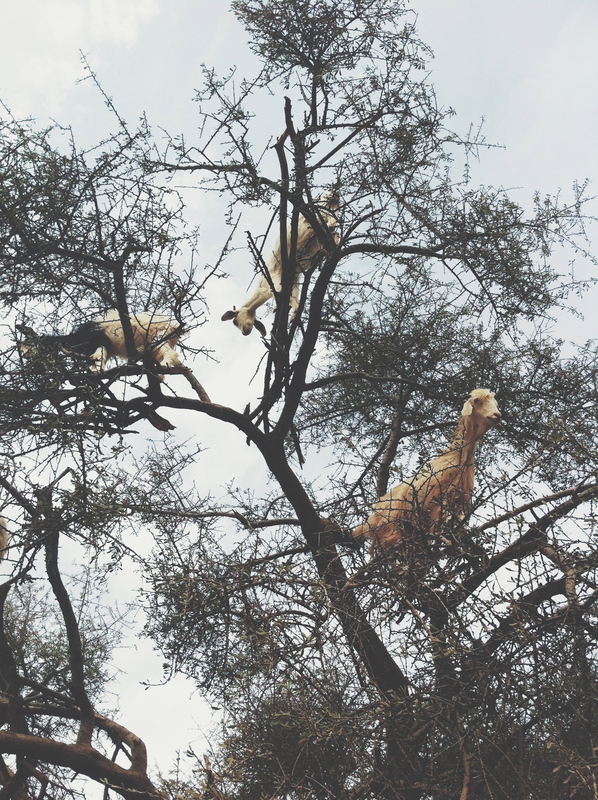 and yes, , , we saw goats in trees?!?! 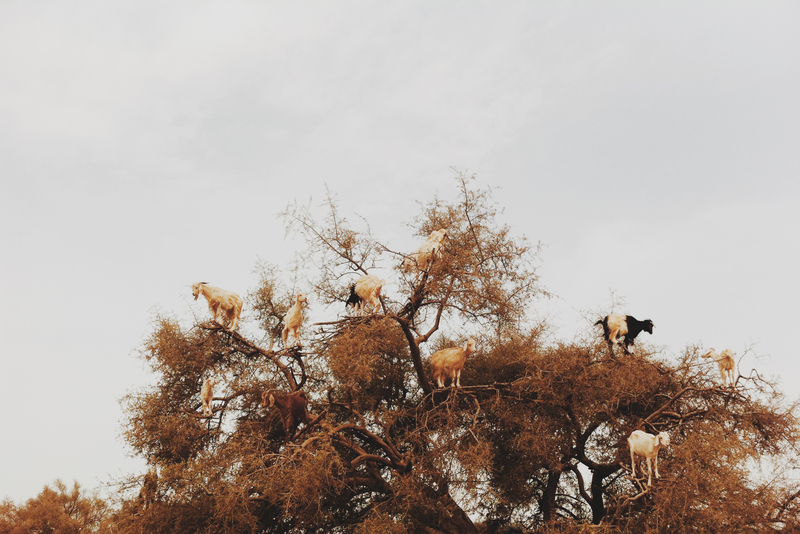 I don’t know if you have ever seen or heard about this- but it was possibly the most bizarre thing I have ever witnessed, I just assumed that people put the poor goats in the trees for money. BUT NO. they somehow climb up and down (??) the trees to eat the argan nut fruits! UTS Global Exchange what the goat? !